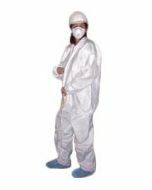 Poly-latex Shoe Covers Size XL (dark blue) are the most durable shoe cover on the market. They are 9.0 mils thick, waterproof, and have a skid-resistant bottom. These booties are REUSABLE making them extremely cost effective. The elastic top holds covers over shoes and workboots. Extra large size ensures adequate fit over workboots. Shoe & Boot Covers prevent subcontractors from tracking mud, dirt, and grime onto your customer's valuable hardwood floors and carpets. 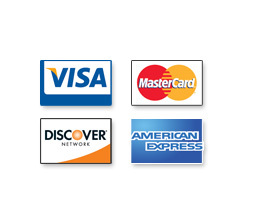 They easily slip over footwear and are available in heavy duty and light duty protection options. Wearing shoe covers not only keeps flooring clean, it helps prevent the spread of dust! These REUSABLE booties are amongst the safest on the market. Don't be fooled by inferior polyethylene plastic booties that are slick and dangerous. These booties keep you and your work force safe! 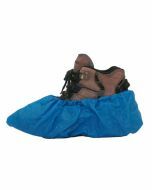 Poly-latex Shoe Covers (dark blue) are the most durable shoe cover on the market. They are 9.0 mils thick, waterproof, and have a skid-resistant bottom. The elastic top holds covers over shoes and workboots. Extra large size ensures adequate fit over workboots. Poly-latex Shoe Covers save time & money by keeping floors & carpets clean.